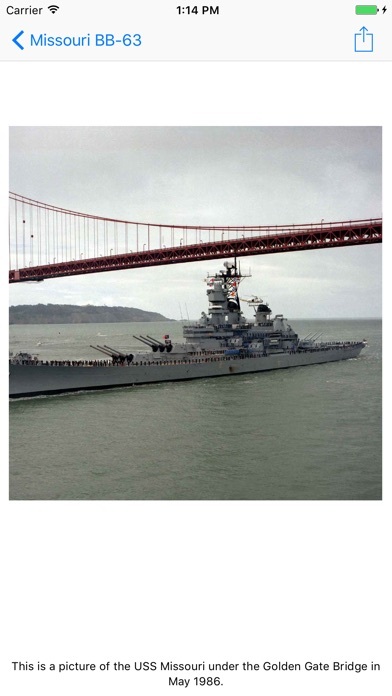 BATTLESHIPS of the US NAVY is the perfect way to learn the history and view photos of all the United States battleships. 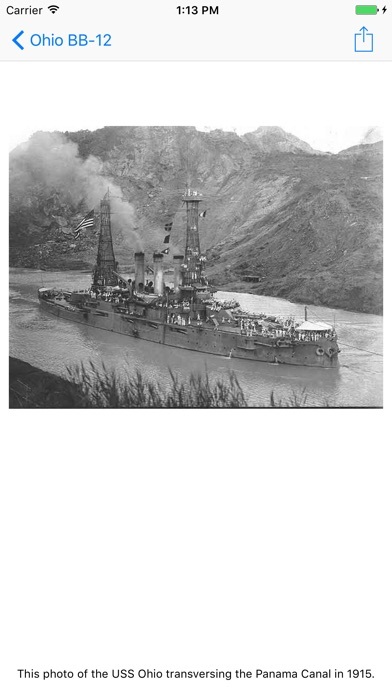 Containing over 260 high quality photos, this project vividly brings to life the stories of these ships. Designed especially for the iPad and new iPhones you can zoom in on any of the hundreds of very high quality photos. This feature allows users to see hidden details in photos that no other medium offers. 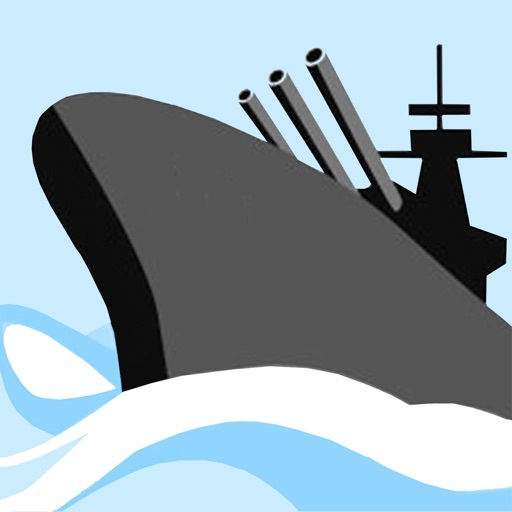 There are complete histories of every battleship, from the time it was commissioned to the time it was put in reserve or scrapped. 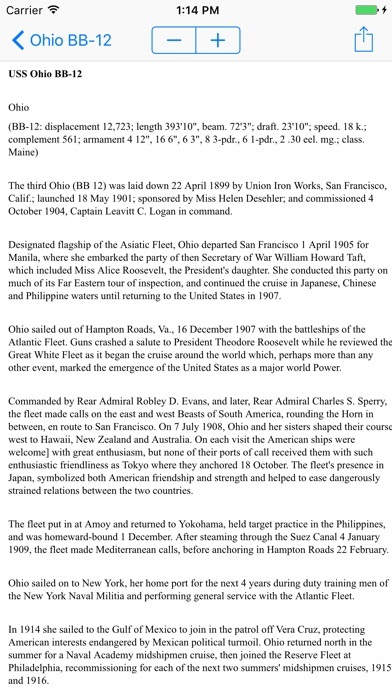 It also includes specifications of each ship. You can save favorites and even e-mail any of the photos to share them with your friends. 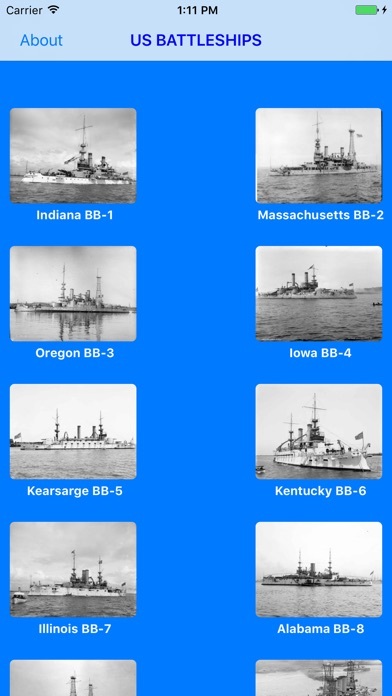 BATTLESHIPS of the US NAVY covers all the US Battleships from BB-1 (USS Indiana) to BB-64 (USS Wisconsin). 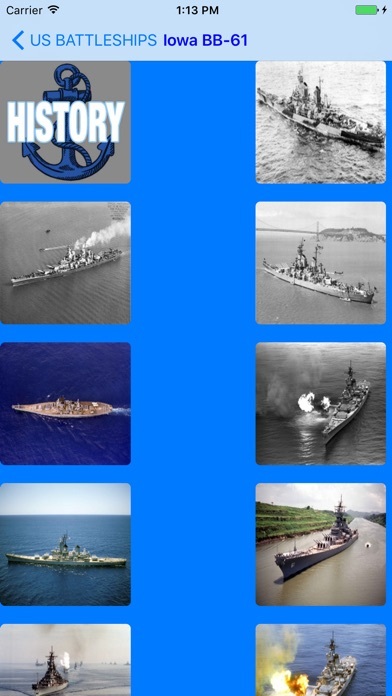 Whether you use BATTLESHIPS of the US NAVY on your iPad or your iPhone/iPad , BATTLESHIPS of the US NAVY is the best way to learn about US Battleships.